6 pm from June to October and 5 pm the rest of the year. The tour takes place during early evening hours on Saturdays. We are comparing The Shadow of the Wind Literary Walking Tour Prices from leading ticket suppliers and Try to find you Cheap tickets prices on the market. A complete overview of the "The Shadow of the Wind" novel by Carlos Ruiz Zafon. A walking tour that introduces various points of interest mentioned in one of the best-selling books in recent times. A pleasure to trace the footsteps of the protagonists of the literary masterpiece, including main characters Julian Carax, Daniel Sempere and Fermín Romero de Torres. A guided tour allowing you to feel the intensity of searching for the truth behind the book found in the cemetery. A journey through time introducing attractions of Barcelona, fictional places and some popular hangouts. The tour is a must for every devotee of the "The Shadow of the Wind" book. 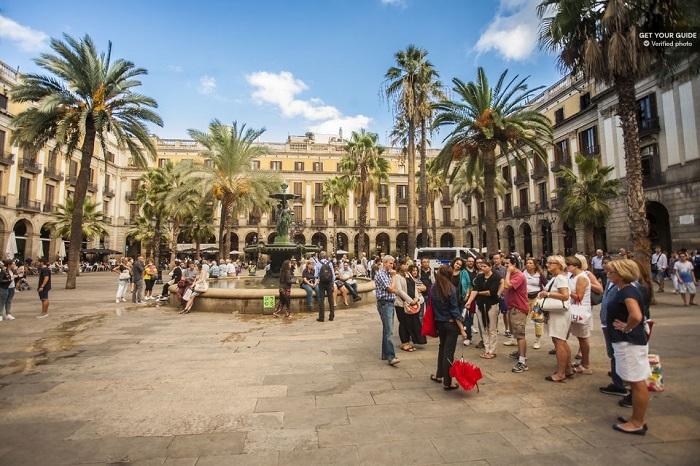 Travelers interested in the secrets of Barcelona also benefit greatly by joining the guided tour. Your Experience With The Shadow of the Wind Literary Walking Tour? Tour the places closely related to one of the best-selling literary masterpieces in the last decades. Have a chance to imagine yourself in the role of one of the main characters of the "The Shadow of the Wind" book. Discover real and fictional places mentioned in the book, such as the Church of Santa Maria del Mar and Cemetery of Forgotten Books. Visit Els Quatre Gats Café, which is also famous as a place the famous artist Pablo Picasso used to visit while living in Barcelona. Besides main streets, stroll less-visited alleys to capture the full charm of this part of Barcelona. What The Shadow of the Wind Literary Walking Tour Includes? A certified tour guide that brings the spirit of the book to the full extent. The book "The Shadow of the Wind" comprises layers and layers in the narrative that are vividly brought to the surface by this guided tour. Travelers Reviews about The Shadow of the Wind Literary Walking Tour? The comments indicate that the fans of the book had a great time during the guided tour. They speak highly about the performance of the tour guide and how well they brought the spirit of the novel to the surface. Many of the attendants liked the tour guide reading excerpts from the book at the places they relate to. Most participants enjoyed the discovery of Barcelona from an unexpected perspective. In general, this activity is suitable for people with special needs, but do advise with the provider about the details. Printed and electronic vouchers are both valid for this activity. Cancellations 24 hours at least before the beginning of the tour are refunded in full. Wear comfortable shoes for walking since the guided tour involves a lot of strolling. Since this is an outdoor tour, dress accordingly to the weather conditions.